Published on Tuesday, January 29, 2019. This article appears in the December/January 2019 issue of American Craft Magazine. Chiriboga checks the fit of a coat. She works closely with clients to create her designs. When kidney surgery left Camila Chiriboga unable to dress herself for a couple of weeks, she realized how much independence lay in the simple act of putting on clothes. “I felt terribly vulnerable,” she remembers. “And then I realized how much it would affect the lives of people who actually have this challenge every single day.” She was a sophomore studying fashion design at Parsons School of Design, and the experience got her thinking about how she could use her skills to make a difference. A series of classes on designing clothes for people with physical and medical needs helped her get started. “We collaborated with occupational therapists and engineers to holistically think of how we approach the body,” she says, “and how to develop innovative technology or processes to create the clothes.” For a client with cerebral palsy, Chiriboga made a custom coat that allows for a wider range of motion. She also sewed apparel with handy access points for people who use dialysis machines and insulin pumps. 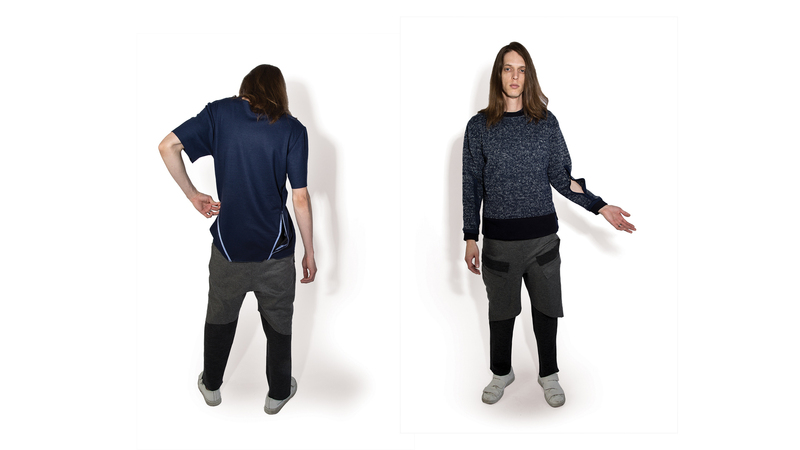 Camila Chiriboga designs clothing that adapts to the wearer’s physical and medical needs – and looks good, too. 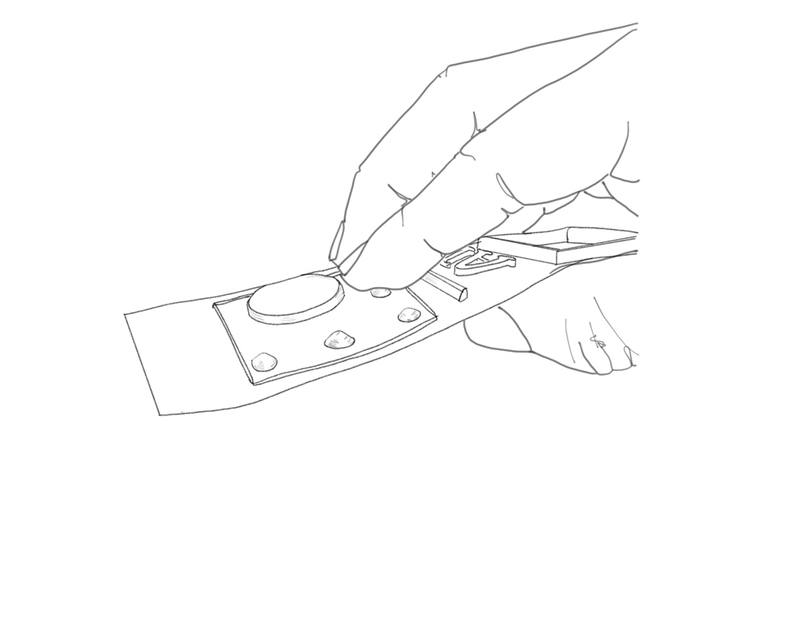 These tops feature easy access points for catheters and blood draws. This winter jacket is reversible, so there’s no “right” side to choose. 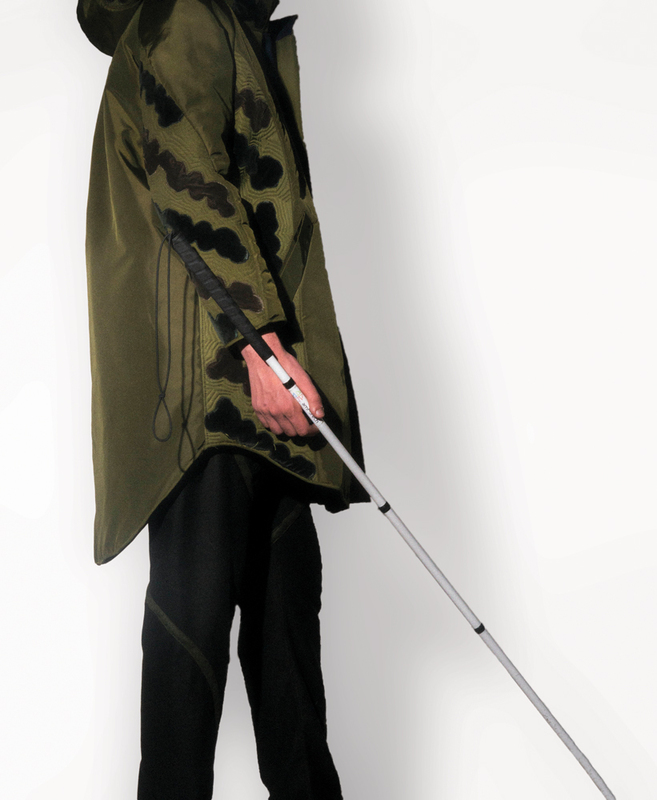 The feature helps people with visual impairment dress with confidence; it’s also one that anyone with a busy life can appreciate. Tactile tags have a scannable QR code with information about clothing size, color, and other features. 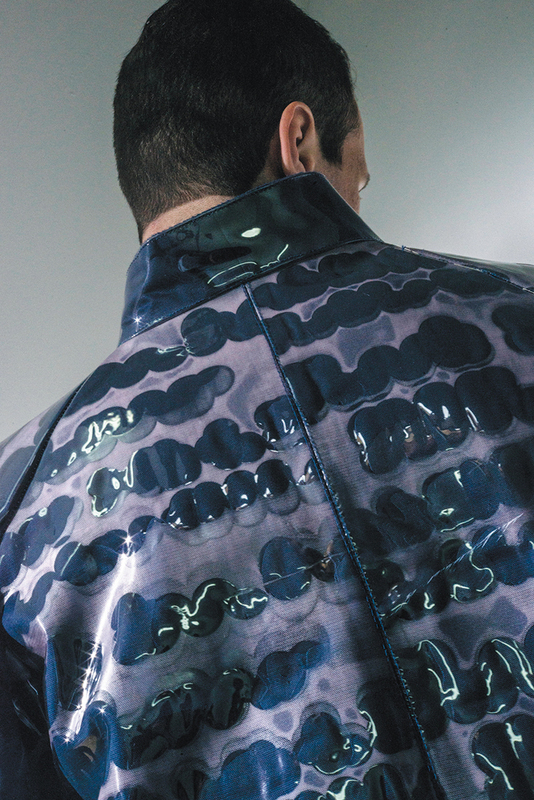 Chiriboga worked with Gus Chalkias to create this coat. Inspirational phrases by Chalkias, whose sight is limited, are heat-pressed in braille across the surface. After graduating in 2017, Chiriboga joined the LIO Innovation Lab, part of fashion conglomerate Global Brands Group. In the yearlong program, she worked on inclusiveness strategies for the company. Comes by it honestly: Chiriboga grew up running through her father’s clothing factories. Her parents bought her a sewing machine when she was 8 years old – “the best gift they ever gave me,” she says. In others’ shoes: For four months, Chiriboga dressed herself blindfolded as she worked on her collection for people with visual impairment. She learned that she selected clothes based on how they feel, rather than how they look. Flora and fauna: Chiriboga’s upbringing in Ecuador has shaped her work. Her Ve° collection draws inspiration from the Amazon jungle, where animals and plants often communicate in nonvisual ways – “through sound, textures … even releasing different kinds of substances,” she says.